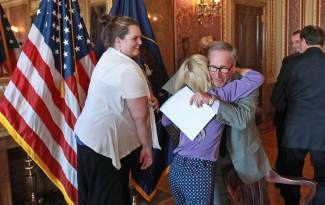 SALT LAKE CITY — Parents of Utah children with severe epilepsy are cheering a new state law that allows them to obtain a marijuana extract they say helps with seizures, but getting it involves navigating a thorny set of state and federal laws. Utah’s Republican Gov. Gary Herbert has already approved the law and held a signing ceremony for about 50 parents and children at the state Capitol on Tuesday afternoon. 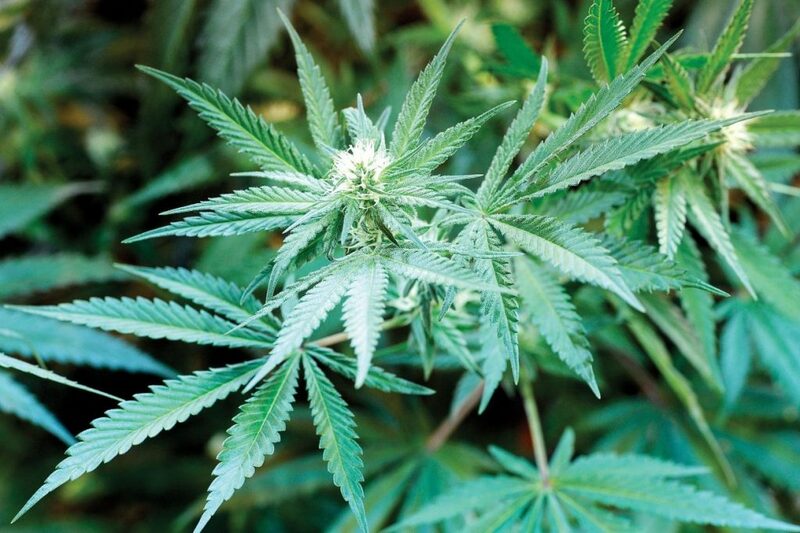 The new law doesn’t allow medical marijuana production in Utah but allows families meeting certain restrictions to obtain the extract from other states. 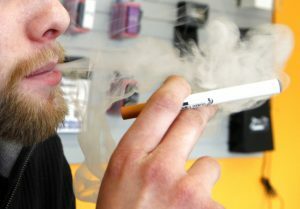 Similar legislation is pending in at least one other state, and Utah advocates hope more will follow. The marijuana extract, which some believe helps with a severe form of epilepsy, is produced in nearby Colorado and is designed not to produce a high. But Colorado experts say restrictions passed in that state to appease the federal government make it a murky process for Utah families to actually get marijuana-derived products, particularly as all state medical marijuana laws are illegal under federal law. Utah Rep. Gage Froerer, a Republican from Huntsville who sponsored the new state law, said families are willing to take that risk to treat their children with the oil. “They know very well that this may not protect them from the DEA if the federal prosecutors stepped in,” Froerer told his colleagues earlier this month. To gain support in conservative Utah, the push for the legislation focused on helping children suffering from a severe form of epilepsy and the law itself is tempered with restrictions. The law takes effect on July 1 and expires in 2016. 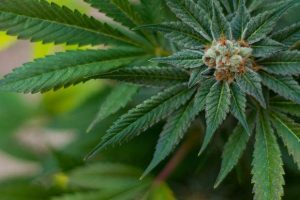 It’s restricted to those with severe epilepsy for whom the regular treatments are not effective, and requires a neurologist’s consent to obtain and use the extract. The extract comes from a strain of marijuana called Charlotte’s Web, named after the first child treated with it. The plant is low in THC, the hallucinogenic chemical in marijuana, and high in CBD, a chemical that may fight seizures. Doctors and others have warned that there’s no proof yet that the extract is effective at treating epilepsy or even safe, but for parents like Jennifer May of Pleasant Grove, the hope that he oil will give their kids a better quality of life is worth pursuing. 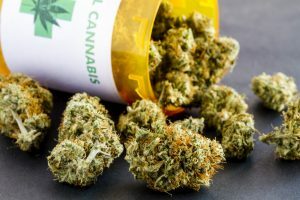 A similar medical cannabis oil bill was passed recently by the Alabama Legislature and awaits the governor’s signature. Some legal experts say states authorizing certain strains of marijuana medicine may be unlikely to produce any relief for patients. Sam Kamin, a University of Denver law professor who helped craft Colorado’s marijuana regulations, said there’s no provision to allow Colorado businesses to sell or ship marijuana products out of the state. Joel Stanley and his brothers grow the plant in the mountains west of Colorado Springs and have a waitlist of about 2,000 for the marijuana product. Stanley said families on his waiting list now have to meet Colorado residency requirements, such as establishing an address and becoming a registered patient, in order to obtain the product under that state’s medical marijuana laws. With the new Utah law, families will still need to go through those hoops to get the product, but they’ll be allowed to possess it in both states, Stanley said. Stanley’s group is working to produce the extract as a hemp product later this fall, which he said makes it no more illegal than products such as hemp oil and hemp milk sold at stores around the country. He said that will allow patients to bypass residency requirements to get the extract. However, Paul Armentano, deputy director of the National Organization for the Reform of Marijuana Laws, or NORML, dismissed the theory that some strains of this drug are so low in THC that they would grow it as industrial hemp and not pot. — Associated Press writers Kristen Wyatt and Nicholas Riccardi in Denver contributed to this report.